Summer is my favourite season and fresh berries are one of my favourite summer things. This slice tastes like summer. 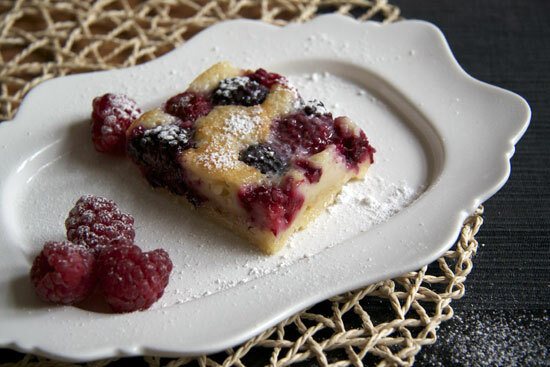 A thin buttery crust topped with plump blackberries and raspberries nestled in a custard pie filling. Nuff said. Here’s the recipe, do try it. Preheat the oven to 175c. Grease and line a medium baking pan (mine was roughly 6 x 10 inches). In a mixing bowl beat together the softened butter and icing sugar. Stir in 1 cup of flour and mix to form a soft dough. Press evenly into the bottom of the baking pan. This will form quite a thin layer. Bake for 15-20 minutes. While the crust is baking, assemble the filling ingredients. In a mixing bowl beat the 2 eggs until frothy and light. Add the sugar, yoghurt and remaining flour and mix well. 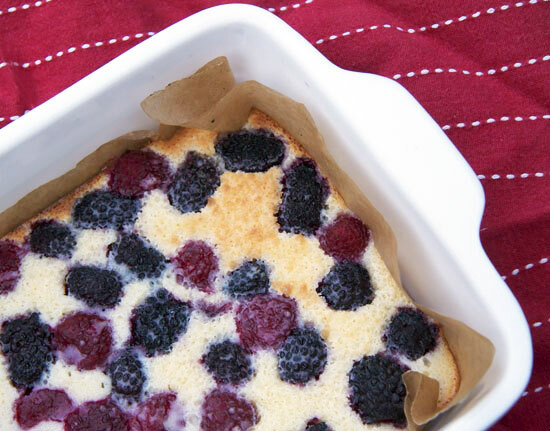 While the crust is still hot from the oven, sprinkle the berries evenly over the crust and pour the filling over top. Place back into the oven for 35-40 mins. Once cooled, slice into dainty squares and serve with a dusting of icing sugar and a dollop of cream. Yuuummmmm.